The VTEK-Xi line of speakers are designed with an emphasis on OEM applications to install precision high quality aftermarket speakers in factory upgraded vehicles. The new VTEK-Xi speakers deliver the same quality and performance as the original VTEK speakers but are now available in a convenient 2-Ohm package. 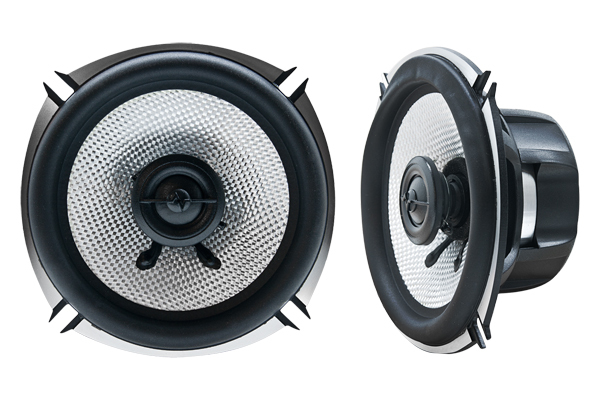 Eliminating the need to buy over-priced replacement speakers from the vehicle manufacturer or the audio manufacturer, Earthquake's new VTEK-Xi speakers cost less, perform better, and will reach you in less time. With several features that enhance sound quality, performance, and protection, the VTEK-Xi speakers deliver the best OEM sound possible at the best price possible. Features such as glass fiber cone bodies for faster and more accurate dynamic responses, die-cast aluminum baskets for additional self cooling, PistonMax drive technology for higher sound quality plus quantity and 20mm swiveling silk dome tweeters result in the smoothest, highest, precision highs possible. Sold and priced per pair.